Erica Taxin Bleznak has been teaching classes and private yoga for over 11 years. She believes that with patience, awareness, breath, and sincerity, each asana becomes an invitation to know who we Truly are. 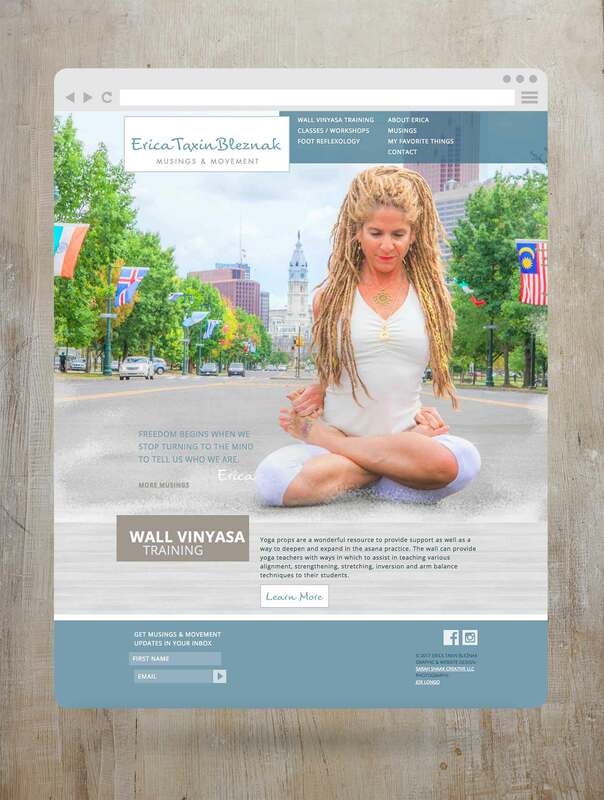 Erica writes about spirituality and wanted a web presence where she could display her yoga philosophy and post her musings. 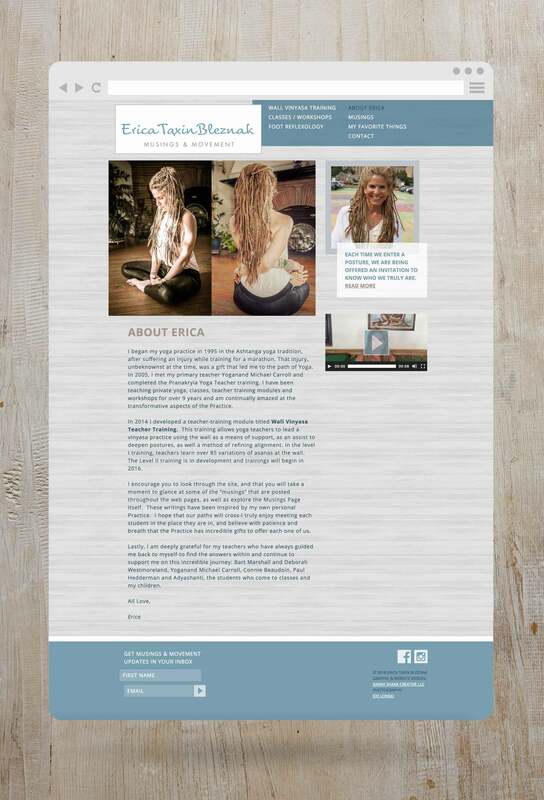 SSC designed a simple logo for Erica in the proportions of a yoga mat. The script font pairs nicely with the personal care and attention she gives each student. Her custom WordPress website uses asymmetrical design and staggered elements to create a sense of movement. The colors are calming alluding to inner peace.